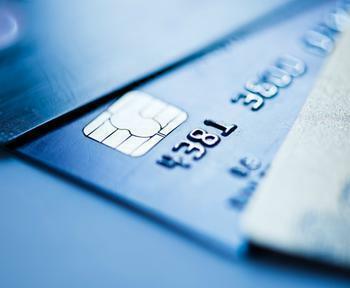 Millennials have been slow to embrace credit cards. Coming of age in the wake of the financial crisis, they appeared leery of using credit, preferring to make purchases using debit cards. Many are still more comfortable doing that. But a new report from Bankrate.com suggests Millennials are leaving money on the table by using debit cards instead of paying with credit cards. The authors note that rewards credit cards offer cash back on the kinds of purchases that this younger generation tends to make. They eat out a lot, they spend a lot on groceries, and they all have smartphones. Those purchases, the authors say, could be returning some cash. But Maya Kachroo-Levine , a Forbes contributor, sounds a cautionary note. She writes that Millennials should resist the temptation to sign up for too many credit cards just to reap the rewards. "Free travel, shopping discounts, rental car deals, hotel deals, and cash back rewards all sound great when you’re signing up," she writes. "However, opening up multiple credit cards makes it harder to manage your money and easier to lose track of your spending." So that makes picking the right rewards credit card all the more important. The first step, then, is to analyze your monthly spending, looking for where you spend the most money. If you have a long commute, gasoline may be your biggest expense. Then again, if you take public transit and have a fuel efficient car, maybe it's not. If you dine out a lot, or spend a lot at the supermarket each week, maybe you need a card that rewards those kinds of purchases. If you find you spend the most each month on gasoline, the BankAmericard Cash Rewards card could be a good choice. It pays 3% back on gasoline purchases for the first $2,500 spent each quarter. It's also a pretty good card if you spend the most money each month on groceries, paying 2% cash back on those purchases. If you are a member of Amazon Prime and tend to buy a lot of stuff from Amazon each month, the Amazon Prime Rewards card will get you 5% off Amazon purchases. To overcome a fear of running up an ever-increasing credit card debt, follow this simple step. Get a cash back card that generously rewards your biggest spending category. Only use the card for those purchases. Pay off the balance in full each month.